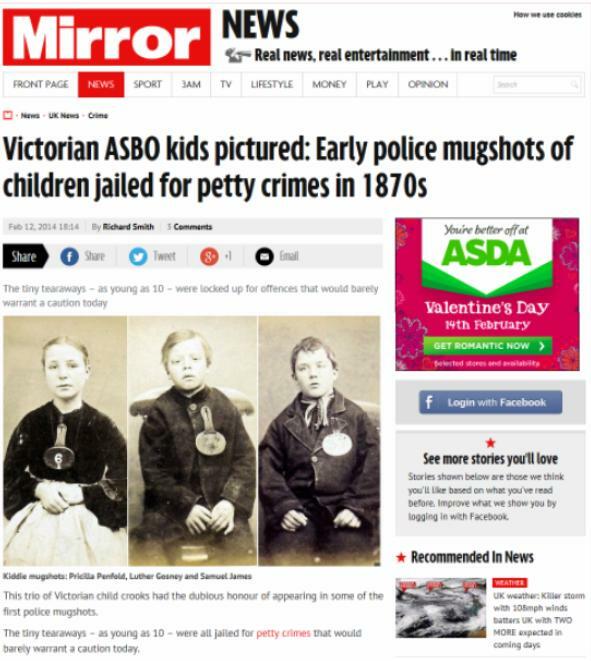 In February 2014, the Mirror published photographs of children who had been convicted of a crime and sentenced to time spent in reform schools in Dorset. Established earlier in the nineteenth century was the 'Little Commonwealth' boys' reformatory at Flowers Farm, Batcombe, which was running from the 1820s. [see correction on the right]. It seems that at the time of the photographs, some children may also have been sent further afield - to Limpley Stoke Reformatory School in Somerset. The Dorset History Centre website is here. "The Little Commonwealth was actually 1913 - 1918. It had both boys and girls. See A Dorset Utopia by Judith Stinton for the full story. Homer Lane was the famous man there. After it closed it became a religious community, as it continues to be today, and I am a member. A conference in 2013 celebrated the Little Commonwealth's centenary - see details at http://www.cchn.org.uk/index.php/past-activities/future-events. I discovered your website because I live at the place itself, and am researching its history further, and your website came up when i searched for Flowers Farm."